The duty of parents to support minor children is enshrined in the Family code of the Russian Federation. The contents in the form of alimony must be received by the second parent in favor of the child from the defendant in a timely manner. If there are arrears, it is possible to recover not only the whole amount of the principal debt and a penalty in the amount 0,1% for each day of delay on payments (article No. 115 of the RF IC). - a voluntary agreement and a notarized photocopy. If you made a voluntary notarial agreement on payment of alimony, it is subject to strict enforcement along with the court order. On the basis of a voluntary agreement or writ of payment shall be on your account systematically. The first amount you will receive, not later than two months. To recover the debt for the payment of alimony, contact the court bailiffs. Apply, please submit a writ or voluntary agreement and copies of such documents. The statutory period for the recovery of arrears of alimony amount to two months. One week service officers are required to proceed to enforcement proceedings. To recover the full amount of the debt a variety of ways. If the defendant has a job, his company will be sent a writ of execution for compulsory deductions from wages. Alimony will arrive monthly to your account or sent via email. 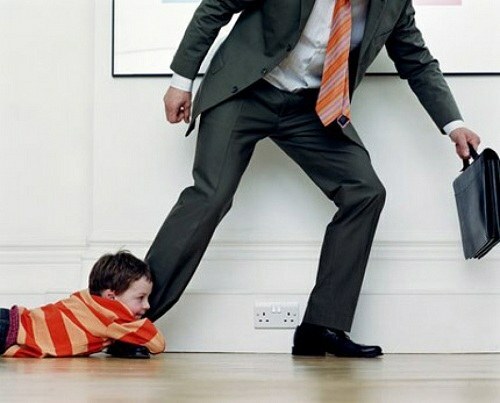 In the absence of work , the debt for child support can be collected from the Bank accounts of the defendant. For the bailiffs to arrest them until full repayment of the total debt amount and compensation. Also, the entire amount of the debt may be recovered by sale of property of the debtor. Bailiffs are required to produce an inventory and send the property to sell on account of repayment of debts for alimony and compensation. Often there are situations when the debtor does not works, has Bank accounts and property. This option of debt collection on alimony is the most difficult, as the bailiffs to take just nothing. But the payment of alimony for child support is a debt that must be done. To remove only in case of death of the defendant or child. In all other cases it shall be paid. For the recovery of maintenance debtor may be arrested and forcibly made to work. Work may continue until full repayment of the outstanding amount. It just so happened that you could not see plainly, and did not marry. Previously, morality and upbringing did not allow most spouses to leave and they continued to live under one roof without raising the question of the division of the budget and a separate allocation of money for the education of children. Once the divorce has ceased to be something shameful, there was a question on payment of the alimony. Today, many fathers need to send a "dog police" to obtain payment of alimony. It is important to remember that the law in this case is always on the side of the child. Contact the court if the divorce is not brought her husband's payment of alimony. According to the family code the father has to pay a quarter of all income for one child, one third for two children and half if there are three babies or more. You can't collect from the ex-spouse more than 50% of its revenues. Get in the writ court with the decision about collecting of the alimony and take the bailiff's place of residence. You will be asked to make a statement, attach a copy of your passport and the Bank account number that should be charged child support. If the child's father officially working but not paying child support, on the basis of a judgment the amount required is going to be transferred from his place of work directly to your account. Require the payment of alimony, even if the father is not working. The court shall oblige him to pay a quarter of the average salary in Russian Federation. If he really can't pay the debt each month will accumulate. Hint ex-husband that he better get a job and to pay monthly child support, or you in a few years will deprive of its tangible part of his pension. The fact that you by law have the right to demand payment of unpaid child support from the aged pension, but did not realize their responsibility of the Pope. Choose the property. In another way it is called a seizure. There is a list of property that you take away the law can't. Everything else can legally be confiscated through court bailiffs and sold, and the money received should be counted as alimony. Take owed child support in square meters of housing. This option may work for you, if you are sure that the money from her husband will not see. In this case, make an agreement with your former spouse about what that part of your house, which is due to him, passed to the child. The law is only possible under the condition that he has another living space. Declare the former spouse wanted, if you do not know where he is. The court must render a decision on recovery of alimony from the father of the child, and then the police begin to look for a willful defaulter. If the ex-spouse, they would be obliged to pay the entire accumulated amount. Also you can try to knock 0.5% of the outstanding amount through the courts as compensation. Do not fall for gimmicks and statements regarding the lack of money in connection with the crisis, job loss, increased expenses, etc. the Law will always be on the side of the mother and child. You have the right to collect child support from any of his earnings. The task of the court to establish the fact of unofficial income. No additional increased costs of the child's father to be taken into account by the court will not. Payment of alimony in this case is paramount. If the father wants to voluntarily pay child support, be ready to fight for justice will leave a lot of time and effort. This is an unpleasant process, but if your income is small, you should still seek payment of child support, because children should not be infringed of their right to a dignified existence. The number of persons, particularly ex-husbands who, for one reason or another refuse to pay child support, is constantly increasing. Typically, the argument is one – no money. Undoubtedly, the situation when ex-husbands do not pay alimony, citing a difficult financial situation, are a pretty widespread phenomenon, but the fact of the lack of money can only affect the amount of alimony, but not for their payment. If the former spouse does not pay alimony, it is necessary to enforce it. To force a negligent husband to pay child support can only be in two ways. The first method is the personal impact on the spouse. Often this option is, of course, inefficient, and not afraid of even the threat of prosecution, but in General a certain psychological impact to provide you can. The most effective way to resolve the issue is to appeal with a claim for establishing the amount of child support and enforcement of their payment to the court. Considering such issues are dealt with by the magistrate. If the former spouse has a permanent job, after the court decides the writ will be sent in its place, and the employer will remit set by the court a percentage of wages at the expense of the former wife or the latter directly to obtain the set amount at the place of work spouse. It's more complicated when the ex-husband has no permanent sources of income. The court in any case would force him to pay child support, but it will not be a certain percentage of income and a fixed amount. How the spouse will hunt for money - it is his problem. In case of nonpayment of the alimony writ of execution will be forwarded for compulsory execution to the court bailiffs, who will initiate enforcement proceedings and to recover the amount of alimony from a former spouse by force. If wife no income, the bailiffs may arrest his property, subsequently, to implement it and thus repay the debt. In case of prolonged non-performance of duties on payment of the alimony court enforcement officers are entitled to bring against the former husband's criminal case. If the first time husband can get off with minor punishment when the criminal case he can get a real time. Serving his sentence and earning some money at the expense of the income of the spouse will repay the debt. Criminal punishment does not exempt the latter from payment of the alimony. It is worth noting that the last time it was the effect of bailiffs who are endowed with vast powers, has a positive effect on addressing the issue of child support. After a divorce children more often stay with the mother, and that it lay down all the worries on their upbringing. Fathers often take part in the upbringing of children only as the payer of the alimony, but some of them do not even do that. Situation when ex-husbands do not pay alimony to spouses, meet with everyone more often. Some men simply prefer to hide from their ex-wives, not wanting to pay them money for the maintenance of their children. If this situation happened to you, do not despair, you need to immediately contact the police and in court. Now illegal employment is no surprise, many people in Russia prefer to work informally and to obtain a higher wage. If your ex-husband is working on such a scheme, officially, he is unemployed, and the bailiffs can seize it to your advantage only property. The latter must be formally documented on your ex-spouse. If your ex-husband is working officially, you will easily be able to collect from it the alimony. The bailiffs will issue a decree according to which from his wages every month will be deducted the required amount. All deductions will be accountants of the company, which employs ex-husband, and he fails to exert any influence on this process. However, some men go for the trick and agree with the management that they have reduced official salary, and the remainder were given "hands on". Here, alas, we can't undo it. Non-payment of child support can lead to your ex-wife on trial in that case, if he does not faithfully perform his duties. Before you go to court, try to talk to her ex-husband, he might be able to understand that the content of their own offspring – his direct responsibility, and then to correct the situation. 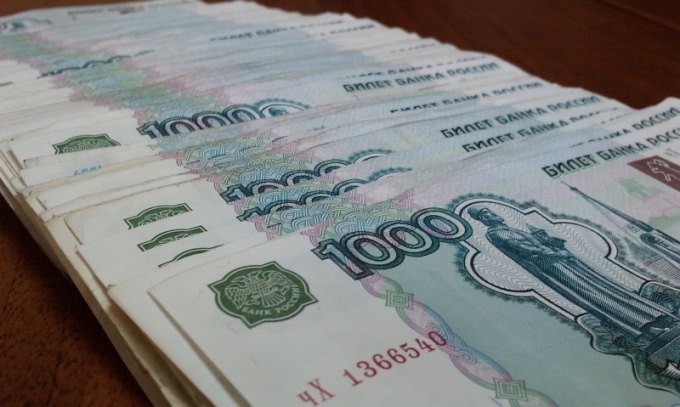 Statistics for recent years shows that the number of malicious defaulters of the alimony in Russia has considerably increased. According to the Federal bailiff service, only 20 out of 100 people are able to fulfil their obligation to pay child support. In this regard, the Government of the Russian Federation stipulates a number of penalties. 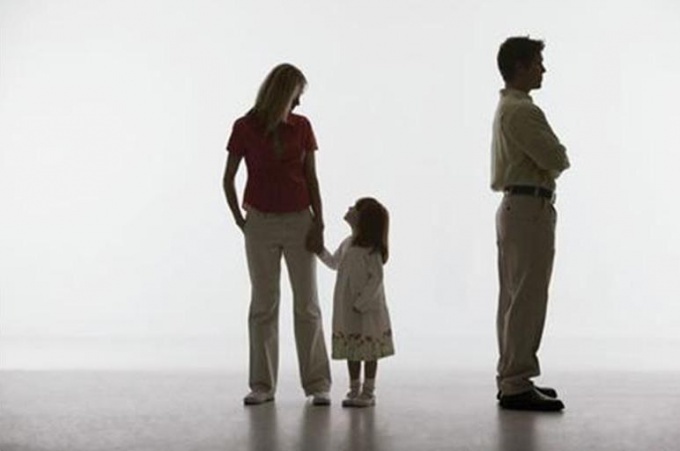 Failure to pay child support, according to the Family code of the Russian Federation, threatened by constant visits of bailiffs with your ex "soulmate" at your place of residence. Officers will not leave you alone at work. They will constantly call how to work cell phone and personal. If you want to relax, for example, in Egypt, at the airport and will wait for the trouble: you are not allowed to leave the country until the debt is paid. Today airports are equipped with payment terminals where you can pay the debt, but remember that the payment process takes a long time (until you complete the required fields, the transfer of funds). And the plane will depart without you. For systematic failure to pay child support face a penalty charge. The penalty is imposed for each overdue day in the amount of 0.5% of the amount installed of alimony. With 2014 expected to make changes to the Russian Legislation increasing the penalty from 500 to 1000. Also the Russian Government plans to Supplement the Code on administrative offences, arrest from 1 to 5 days, or corrective labor for a period of 6 months to a year. And daddy (sometimes mommy), suffering from addiction, alcoholism will be forced to be treated in special institutions. If you have a large debt, be prepared for the fact that your property may be seized. Currently solves a question on a new method of influence on debtors – deprivation of a driver's license. Also discusses the increase in age, until the child of which the debtor will have to pay child support. In accordance with article 157 of the Criminal Code of the Russian Federation citizens who refuse to pay maintenance can be criminally prosecuted. - intentional concealment of real income. 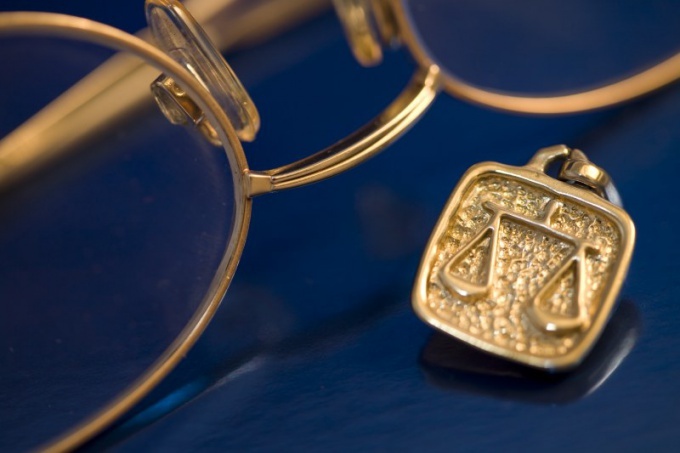 Criminal liability does not absolve the debtor of the obligation to pay alimony. - arrest for the term up to 3 months. In the new bill which is under consideration of the Government of the Russian Federation, is expected to toughen criminal penalties for failure to pay child support. MPs propose to increase the period of forced labor and seizure.